On our way to dinner at The Broad Axe Tavern on a recent Friday night I told my wife Sandy about the approach, since abandoned, that I might take in writing the article you currently are reading. It was to be a comparison of dinner at The Broad Axe with what my opinion would have been, had I ever eaten there, of dinner at Le Bec-Fin, a famous, majestic and now-closed French restaurant in Philadelphia. 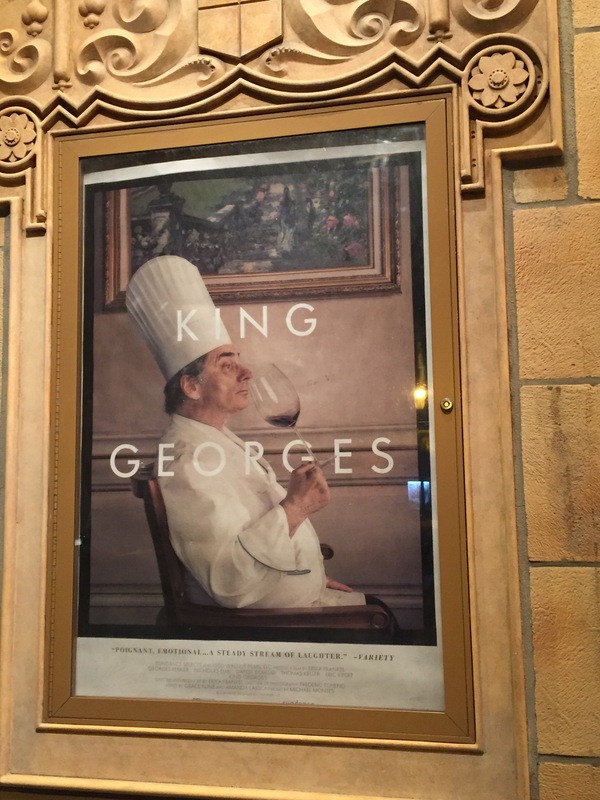 All of this made possible sense because the movie that Sandy and I were headed to later that evening in suburban Philadelphia was King Georges, a documentary about the last few years (2010 to 2012) of Chef Georges Perrier’s involvement with Le Bec-Fin, which he opened in 1970. Yup, I had thought that my culinary tastes and scrutinies would make for way cooler reading than a review of King Georges. And, dope that I tend to be, I was quite certain about what my conclusion would be, even before seeing King Georges. Namely, that I’d prefer to eat at The Broad Axe than at fancy-schmancy Le Bec-Fin. Broad Axe food I understand. It’s good for the most part and you don’t need a translator to figure out what’s what. Le Bec-Fin’s fare, which I had read about for decades, would have intimidated me. That’s because I knew and still know diddly-squat about high-level French cuisine. 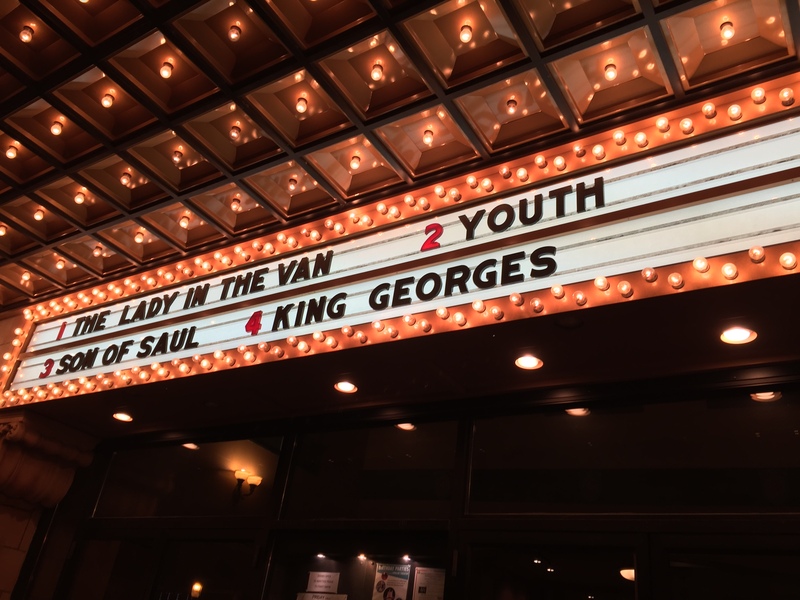 We saw King Georges at the Ambler Theater. But after watching King Georges I did an about-face. Who cares about my food preferences when a terrific piece of filmmaking is at hand? Clear the way! Movie review, here I come! And by the way, I should have given pricey LBF at least one spin during its lifetime. I’d have parted with some serious cash, but the meal and the experience would have been worth it. I hadn’t because I was a culinary coward. Sure, the food looks great in King Georges. But that’s not the reason to see the movie, as food isn’t primarily what it’s all about. What we have here is a vibrant look at a pretty complicated guy. King Georges is filmed mostly in close-up and often in tight quarters, Le Bec-Fin’s kitchens, and reveals an extremely colorful and self-driven character as he wrestles with the reality that his famed and celebrated baby, LBF, ain’t the destination that it once had been. And that maintaining his customer base is hard and ultimately maybe not possible. What’s a top chef to do? In Georges Perrier’s case, keep on truckin’ and truckin’ until . . .
King Georges shows Perrier as a sometimes-crazed dynamo in the kitchen, his senses aware of what’s going on in every pot and pan attended to by the small army of chefs under his command at LBF. He rants and raves. He praises and hugs. He includes sh–t and/or fu–k in half the sentences that pour from his mouth. He’s a pip, a perfectionist, an incredibly hard worker who seems to have gotten no more than a handful of hours of sleep nightly for forty-plus years. How can you not love someone like this? I mean, he cares. Born and raised in France, he came to the USA in the mid 1960s hoping to own, cook for and run one of the best restaurants in the States. All of which he ended up doing for years and years. And he became a celebrity of sorts in the process, a big name in certain circles around the globe, eons before the likes of chefs/restaurateurs Emeril Lagasse, Bobby Flay and Mario Batali became media fixtures. During the last few years, though, Georges Perrier hasn’t been too visible. Whom, then, do we have to thank for bringing him to our eyes and ears in 2016? None other than Erika Frankel, she whom neither you nor I ever heard of before. Frankel has earned her keep producing documentaries and other works since the early 2000s but, before King Georges, never had donned a director’s cap. How did she manage to handle the job so well? Maybe it was beginner’s luck. Probably it was innate talent. Whatever, having a charismatic figure to make a movie about didn’t hurt. You know, writing this article has made me hungry. I’m going to head into the kitchen and labor over one of my exotic specialties, a grilled cheese sandwich. I’m sure that Chef Perrier would approve of my sandwich-flipping technique, the precise and practiced manner in which my right wrist rotates just so. Before I say goodbye, however, let me mention that King Georges isn’t making waves at the box office. In fact, Sandy and I were lucky to see it in a theater, because nationally only a single digits number of cinemas are showing it. But happily for the inhabitants of our planet, King Georges is obtainable via Amazon Prime and other online operations. Be it at a theater, or more likely in the comfort of your home, here’s your chance to be the first on your block to watch King Georges. Take it from me, kids. I think you’ll like it. Enjoyed your blog. I had great meal at L BF. It’s kind of a shame that LBF is closed. But I suppose that it had seen its day. Great review! I haven’t thought about Emeril for decades. Food notwithstanding, I love a story about a character who really cares! You would enjoy this movie. Georges Perrier is something else. I read books by chefs and watch any movie that takes me inside a restaurant kitchen. Maybe because I’m a somewhat sluggish cook myself, I love to see dynamos roaring around well appointed, well staffed, clean kitchens turning out small masterpieces. I’ll see King Georges for sure. This movie is set in Philadelphia. When Perrier opened Le Bec-Fin in 1970, Philly was kind of a restaurant wasteland. Since then, though, it has become a restaurant mecca. An amazing transformation. Your King Georges post was the first I have read, and I thought it was terrific! I will definitely check out the film. BTW, we just had dinner at the Broadaxe a couple of years. I look forward to reading your film and theatre reviews. Thanks, Cindy. I appreciate your kind words. To The Moon And Beyond!? Walking Around While Looking At Things . . . It’s What I Do! This Is My 200th Story! Will It Be My Last? The Best Movie Of 2018 Is . . .
Friends, Pals, Chums, Amigos . . .
Will Santa Claus Make His Rounds This Year, Or Will The Job Fall To Me? Two New Movies That I Liked A Lot: "American Animals" And "RBG"